All activists: Pledge to buy seafood that's certified as being sustainable and urge stores and restaurants to carry certified fish. Whether it is fish and chips, swordfish or sushi, many of us love seafood. 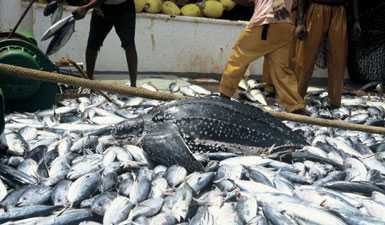 Unfortunately, poor fisheries management and wasteful, destructive fishing practices are decimating the world's fisheries, as well as destroying marine habitats and incidentally killing billions of fish and other marine animals each year. But you can help change this. Consumer demand for sustainable seafood can act as an extremely powerful incentive for better fisheries management. If you buy or ask for seafood that comes from sustainable sources, you are helping to protect our marine environment and, at the same time, ensuring that seafood can be enjoyed for many years to come.